Myself and my fellow travelers spend allot of time complaining about airline crews and staff but today we were reminded why well trained pilots are so important. 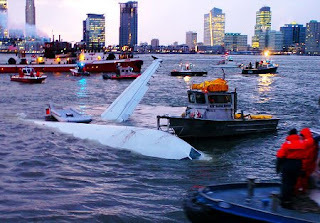 If you watched the news today you saw the crash landing of a US Air plane in the Hudson river. Anyone who has been to New York knows how difficult it would be to control a plane, taking off from LaGuardia, who looses both engines but this pilot did it! Passengers commented that both of the engines went out shortly after takeoff from LGA and the pilot floated the plane into the water. The pilot, Chesley Sullenberger, did a fantastic job landing the plane and getting everyone off without any serious injuries. 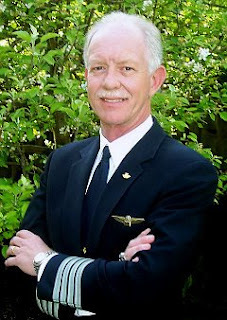 Chesley "Sully" Sullenberger was still drying off from the ordeal when Mayor Bloomberg sang his praises. "He did a masterful job of landing the plane in the river," Bloomberg said of the veteran pilot who lives near San Francisco. With water seeping into the plane, Sullenberger walked up and down the center aisle twice to make sure nobody was left before he fled the jet, the mayor said. "He was the last one off the plane," Bloomberg said.